We recently published a great blog about ways to generate leads via the internet. Although we’ve published multiple blogs on how real estate agents can generate leads, it never hurts to reinforce and expand certain ideas. Below, we’ve listed 5 ideas on how you can generate sales leads. Some of the ideas are old hat for you while a couple of other ideas might be brand new. Not all lead generation ideas will work for everyone, but it helps to get an idea of what’s helped other real estate agents become successful. 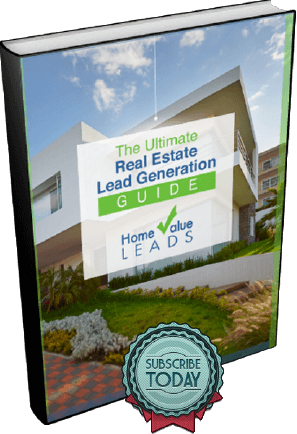 Home Value Leads has an excellent Facebook ads process. You can try out HVL for free by just starting your trial. Once on the site, you can partake in our Facebook ads program. We’ll even create a website for you to bump up your FB advertising. Why does Facebook advertising still work? Facebook’s a more mature social media site. Families ready to purchase homes are more likely to use Facebook than those who use Instagram or Snap. The expectations on Facebook are different than they are on other social media sites. That gives real estate agents who advertise on FB a slight advantage. You should start working on your referral system with your very first home sale. Always, always look to add people to your referral system. Your referral system is an off-shoot of your sphere of influence. In many ways, it holds more overall power. Work to gain referrals without being overwhelming. That’s the way to get the system working. Many real estate agents are surprised to learn that legacy home owners, those who end up with a home due to a death in the family, don’t want their homes. In fact, most, if not all, are looking to sell their inherited home as soon as possible. Probate leads are often the hottest leads your going to find. Create a separate list of probate leads in the HVL CRM. Utilize the HVL emails, set them up to work with probate home owners, and watch your leads become real clients. Are handwritten notes necessary? Not at all. Do they add a certain special element? Absolutely! Gather a few postcards, write in your own hand and leave them with potential clients. You’ll be surprised at how many respond to your note instead of another real estate agent’s note when they’re ready to sell. It takes money, but if you’re spending most of your time doing listing presentations, meeting with clients at Starbucks, working on your website, or setting up and running open houses, you might not have the time to prospect. No worries. Hire someone to do it for you. You probably know someone who wants some real estate agent experience while studying for the test, or someone who just wants a part time job. Give them access to your HVL account, show them how it works, and give them a weekly target number. You’ll be surprised. If you hired the right person, your pipeline will be chockful of potentials. As real estate agents, we can talk about generating leads all day. 5 ways to generate leads is to use the HVL Facebook advertising process, to work on your referral system, to search for probate leads, to get personal with handwritten notes, and to hire someone to prospect for you. Try out a few or all of these ideas and watch your leads pipeline grow.